Sever's disease is the most common cause of heel pain in the growing child. It is due to overuse and repetitive stress of the Achilles tendon where it attaches to the heel bone. Sever's Disease is a repetitive strain injury caused by the following. High impact injury activities and sport like netball, football, soccer, hockey, basketball, running, jumping and tennis. Tight calf muscles. Poor mechanics, structure and function of the foot. Excessive pronation. Rapid growth spurt. The above causes tension, inflammation and pain where the Achilles tendon inserts onto the calcaneus (Back/bottom surface of the heel bone). It is important that this problem is treated and monitored until the growth plate ossifies in the heel. This could occur between the ages of 14 and 16 years of age. In extreme cases the growth plate can become separated from the calcaneus. Sever disease is heel pain in children. This pain is caused by inflammation of the heel growth plate. The growth plate is the area where the bone grows. It is located on the lower back part of the heel. Arch pain may have a variety of different causes. Proper evaluation and diagnosis of arch pain is essential in planning treatment. A good general guideline is to compare the injured side to the uninjured side. Injury may present itself as a distinguishable lump, a gap felt at that location, or a "crunchy" feeling on that spot caused by inflammation. The type, causes, and severity of pain are also good indicators of the severity of the injury. Arch pain can be treated with orthotics, inserts that have proper arch support to relieve the strain on the plantar fascia, mild stretching and anti-inflammatory medications. Orthotics will relieve most of the strain put onto the plantar fascia by supporting the band from underneath when pressure is applied. Tape can also be used in conjunction with orthotics to restrict movement and support the plantar fascia. Stretching should be used along with orthotics and continued long after the symptoms of arch pain are gone to prevent it from occurring again. Overview The exact number of people who develop Achilles tendon injury is not known, because many people with mild tendonitis or partial tear do not seek medical help. It is believed to be more common in men but with the recent participation of women in athletics, the incidence of Achilles tendon injury is also increasing in this population. Overall, injury to the Achilles tendon is by far most common in the athlete/active individual. 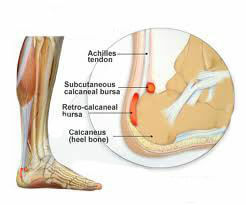 Causes The most common cause of a ruptured Achilles' tendon is when too much stress is placed through the tendon, particularly when pushing off with the foot. This may happen when playing sports such as football, basketball or tennis where the foot is dorsiflexed or pushed into an upward position during a fall. If the Achilles' tendon is weak, it is prone to rupture. Various factors can cause weakness, including corticosteroid medication and injections, certain diseases caused by hormone imbalance and tendonitis. Old age can also increase the risk of Achilles' tendon rupture. Symptoms Patients who suffer an acute rupture of the Achilles tendon often report hearing a "pop" or "snap." Patients usually have severe pain the back of the lower leg near the heel. This may or may not be accompanied by swelling. Additionally, because the function of the Achilles tendon is to enable plantarflexion (bending the foot downward), patients often have difficulty walking or standing up on their toes. 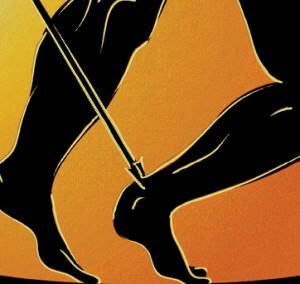 Diagnosis Most Achilles tendon ruptures occur in people between 30 and 50 years old and such injuries are often sport-related. If you suspect an Achilles injury, it is best to apply ice, elevate the leg, and see a specialist. One of the first things the doctor will do is evaluate your leg and ankle for swelling and discoloration. You may feel tenderness and the doctor may detect a gap where the ends of the tendon are separated. In addition to X-rays, the calf squeeze, or Thompson test, will be performed to confirm an Achilles tendon rupture. With your knee bent, the doctor will squeeze the muscles of your calf and if your tendon is intact the foot and ankle will automatically flex downward. In the case of a ruptured Achilles there will be no movement in the foot and ankle during the test. Non Surgical Treatment Non-operative treatment consists of placing the foot in a downward position [equinus] and providing relative immobilization of the foot in this position until the Achilles has healed. This typically involves some type of stable bracing or relative immobilization for 6 weeks, often with limited or no weight bearing. The patient can then be transitioned to a boot with a heel lift and then gradually increase their activity level within the boot. It is very important that the status of the Achilles is monitored throughout non-operative treatment. This can be done by examination or via ultrasound. If there is evidence of gapping or non-healing, surgery may need to be considered. Formal protocols have been developed to help optimize non-operative treatments and excellent results have been reported with these protocols. The focus of these treatments is to ensure that the Achilles rupture is in continuity and is healing in a satisfactory manner. The primary advantage of non-operative treatment is that without an incision in this area, there are no problems with wound healing or infection. Wound infection following Achilles tendon surgery can be a devastating complication and therefore, for many patients, non-operative treatment should be contemplated. The main disadvantage of non-operative treatment is that the recovery is probably slower. On average, the main checkpoints of recovery occur 3-4 weeks quicker with operative treatment than with non-operative treatment. In addition, the re-rupture rate appears to be higher with some non-operative treatments. Re-rupture typically occurs 8-18 months after the original injury. Surgical Treatment Unlike other diseases of the Achilles tendon such as tendonitis or bursitis, Achilles tendon rupture is usually treated with surgical repair. The surgery consists of making a small incision in the back part of the leg, and using sutures to re-attach the two ends of the ruptured tendon. Depending on the condition of the ends of the ruptured tendon and the amount of separation, the surgeon may use other tendons to reinforce the repair. After the surgery, the leg will be immobilized for 6-8 weeks in a walking boot, cast, brace, or splint. Following this time period, patients work with a physical therapist to gradually regain their range of motion and strength. Return to full activity can take quite a long time, usually between 6 months and 1 year. Prevention The best treatment of Achilles tendonitis is prevention. Stretching the Achilles tendon before exercise, even at the start of the day, will help to maintain ankle flexibility. Problems with foot mechanics can also lead to Achilles tendonitis. This can often be treated with devices inserted into the shoes such as heel cups, arch supports, and custom orthotics. A tendon is a tough yet flexible band of fibrous tissue. The tendon is the structure in your body that connects your muscles to the bones. The skeletal muscles in your body are responsible for moving your bones, thus enabling you to walk, jump, lift, and move in many ways. When a muscle contracts it pulls on a bone to cause movements. The structure that transmits the force of the muscle contraction to the bone is called a tendon. Tendons come in many shapes and sizes. Some are very small, like the ones that cause movements of your fingers, and some are much larger, such as your Achilles tendon in your heel. When functioning normally, these tendons glide easily and smoothly as the muscle contracts. Sometimes the tendons become inflamed for a variety of reasons, and the action of pulling the muscle becomes irritating. If the normal smooth gliding motion of your tendon is impaired, the tendon will become inflamed and movement will become painful. This is called tendonitis, and literally means inflammation of the tendon. More often than not, Achilles tendonitis can be treated without surgery. However, recovery may take a few months. The following will can help you recover and get back in the game. Rest is always the most important thing when recovering from an injury. Your body needs a break to heal. While taking time off from exercise is recommended, if you just can?t ditch all physical activities, switch to more low-impact ones while you?re recovering. When resting your Achilles, try biking, swimming or using an elliptical machine until you?re fully healed. Icing the injured area of your Achilles tendon throughout the day can help to reduce the swelling and pain. However, try not to ice it for more than 20 minutes at a time. Non-steroidal anti-inflammatory medication is recommended to help reduce the swelling and pain associated with Achilles tendonitis. These include such drugs as ibuprofen and naproxen. While they will reduce swelling, the do not reduce the thickening for the tendon. If you find yourself taking these medications for more than a month, speak with your doctor. Wear shoes that fit correctly and support your feet: Replace your running or exercise shoes before the padding or shock absorption wears out. Shock absorption greatly decreases as the treads on the bottoms or sides of your shoes begin to wear down. You may need running shoes that give your foot more heel or arch support. You may need shoe inserts to keep your foot from rolling inward. Stretch before you exercise: Always warm up your muscles and stretch gently before you exercise. Do cool down exercises when you are finished. This will loosen your muscles and decrease stress on your Achilles tendon. Exercise the right way: If your tendinitis is caused by the way that you exercise, ask a trainer, coach, or your caregiver for help. They can teach you ways to train or exercise to help prevent Achilles tendinitis. Do not run or exercise on uneven or hard surfaces. Instead, run on softer surfaces such as treadmills, rubber tracks, grass, or evenly packed dirt tracks. The arch of the foot is a very complex structure, consisting of multiple bones and ligaments. Most causes of arch pain are related to the anatomy of the arch and the types of physical activity that you perform. For example, a classic set up for arch pain is people who engage in lots of high impact exercise (such as running) while wearing a type of athletic shoe that does not properly support their type of foot arch. If you notice that the twinges of pain you have are most commonly associated with or immediately after exercise, you might want to visit a good athletic shoe store to make sure you are wearing the right kind of shoe. Another cause of arch pain is plantar fasciitis. The plantar fascia is a tough tissue structure that holds the bottom part of the arch in place. The fascia often becomes inflamed and sore, usually as a result of repetitive motion (for example, very common in those who stand on their feet for work). The pain is often noticeable first thing in the morning and worse with activity. In addition to wearing good arch supports and taking anti-inflammatory medications, stretching exercises are often a part of the treatment. You should see your primary care doctor to determine what is the best treatment for you. A patient is asked to step with full body weight on the symptomatic foot, keeping the unaffected foot off the ground. The patient is then instructed to "raise up on the tip toes" of the affected foot. If the posterior tibial tendon has been attenuated or ruptured, the patient will be unable to lift the heel off the floor and rise onto the toes. In less severe cases, the patient will be able to rise on the toes, but the heel will not be noted to invert as it normally does when we rise onto the toes. X-rays can be helpful but are not diagnostic of the adult acquired flatfoot. Both feet, the symptomatic and asymptomatic - will demonstrate a flatfoot deformity on x-ray. Careful observation may show a greater severity of deformity on the affected side. Achilles tendon ruptures commonly occur in athletic individuals in their 30s and 40s while performing activities that require sudden acceleration or changes in direction (ex. basketball, tennis, etc.). Patients usually describe a sharp pain in their heel region almost as if they were struck in the back of the leg. The diagnosis of an acute Achilles tendon rupture is made on clinical examination as x-rays will reveal the ankle bones to be normal. The Achilles is the largest and strongest tendon in the body. It is subject to 2-3 times body weight during normal walking so regaining normal Achilles tendon function is critical. Achilles tendon ruptures can be successfully treated non-operatively, or operatively, but they must be treated. Surgical treatment leads to a faster recovery and a lower rate of re-rupture. However, surgery can be associated with very serious complications such as an infection or wound healing problems. For this reason non-operative treatment may be preferable in many individuals, especially those patients with diabetes, vascular disease, and those who are long-term smokers. Ankle pain and swelling or feeling like the ankle has given out after falling or stumbling. A loud audible pop when the ankle is injured. Patients may have a history of prior ankle pain or Achilles tendonitis, and may be active in sports. Swelling, tenderness and possible discoloration or ecchymosis in the Achilles tendon region. 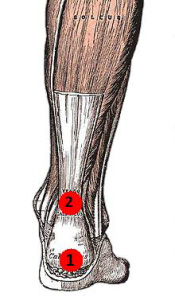 Indentation above the injured tendon where the torn tendon may be present. 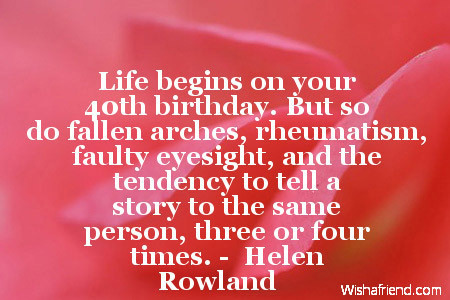 Difficulty moving around or walking. Individual has difficulty or is unable to move their ankle with full range of motion. MRI can confirm disruption or tear in the tendon. Inability to lift the toes.